Diner + Storage = efficient use of space. 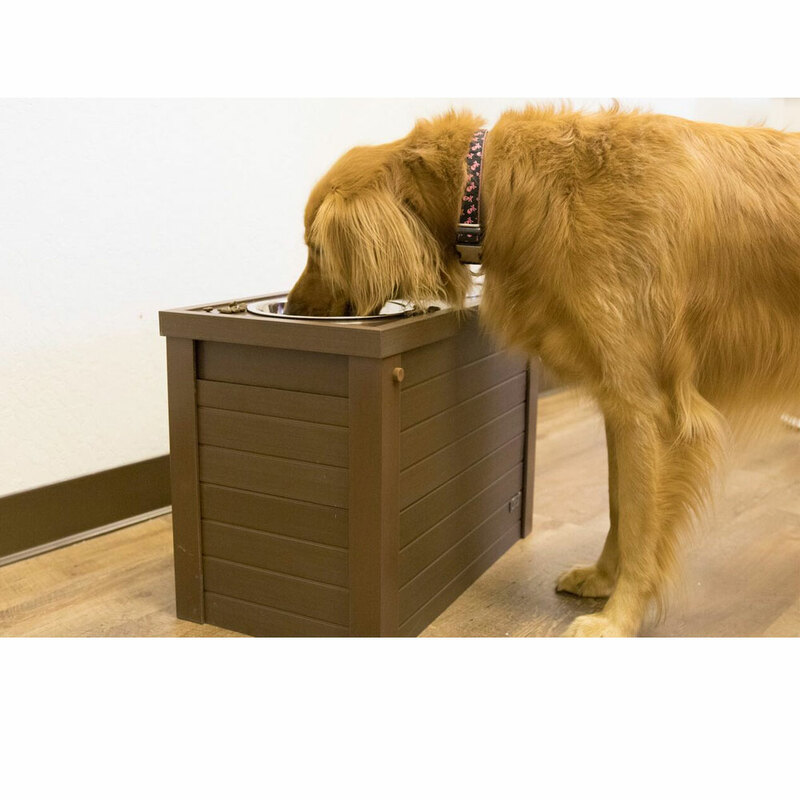 Perfect for taller dogs. 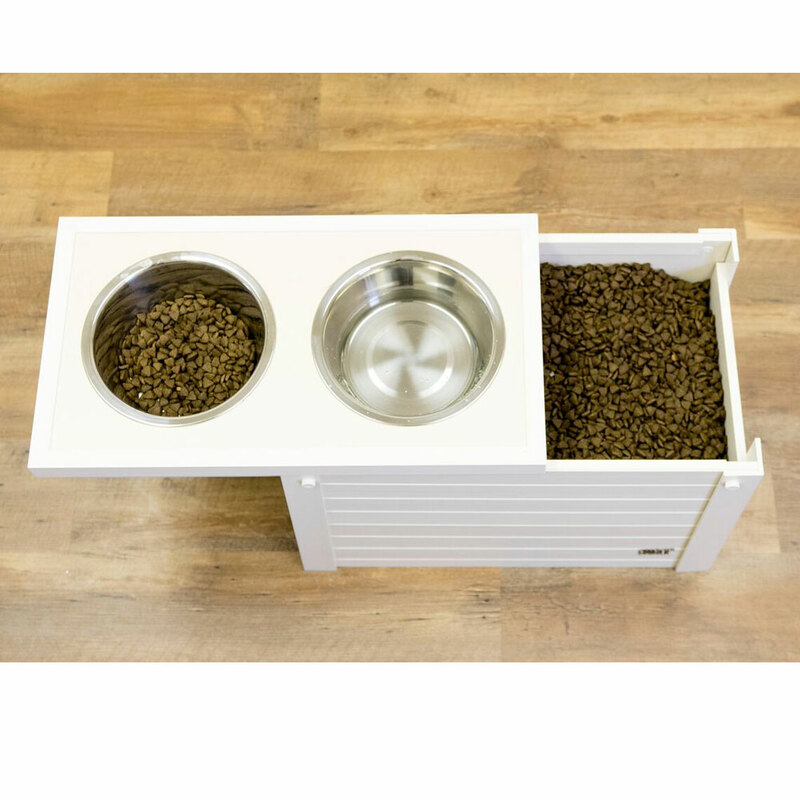 A spot for food, water and extra space to store treats or excess food inside. Raised Diner with Storage. Made from EcoFlex™. Non absorbent and easy to clean. Easy no tool assembly. 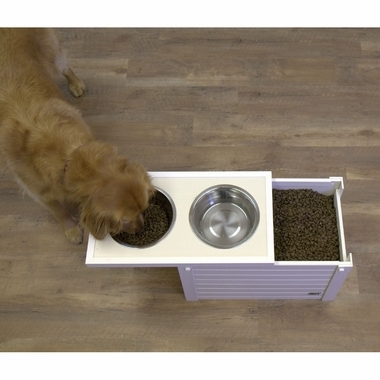 Suitable for taller dogs, diner stands 15? tall. Wipe clean with a damp cloth. 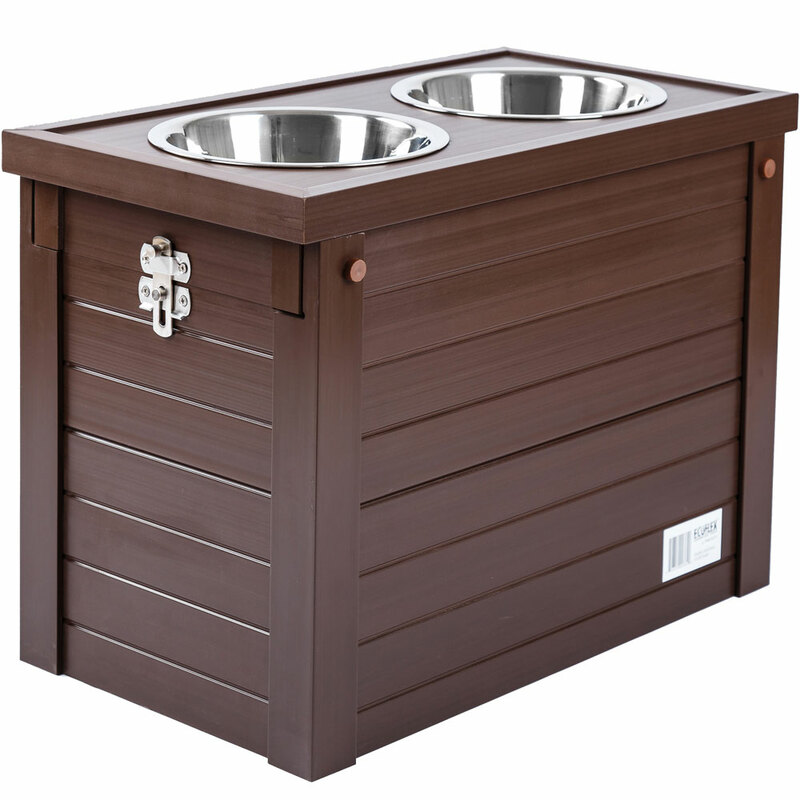 Lid top slides open and latches closed for storage. It is important that your Raised Dinner with Storafe be kept clean for the health of your pet. Here's where the use of ecoFLEX as the main component is a big advantage combined with our simple, easy no tool assembly. Since little sticks to ecoFLEX, in most cases, all you will need to do is wipe up any misses or to do a general cleaning. If you want a more thorough cleaning, you can use a little dish washing detergent. Wipe dry and you're done. The top is easy to remove for complete access to the interior. Just remove the 4 screws installed in step 6 and the top can be removed. When your cleaning has been completed, just replace the top and reinsert the screws. 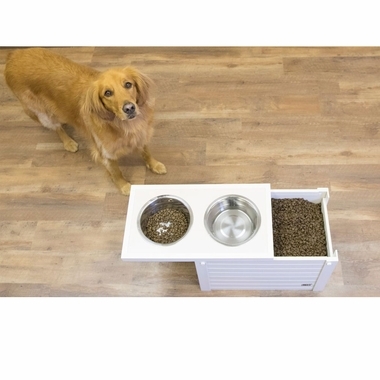 Regular cleaning will add your-and your pet's-enjoyment of the Raised Diner with Storage.